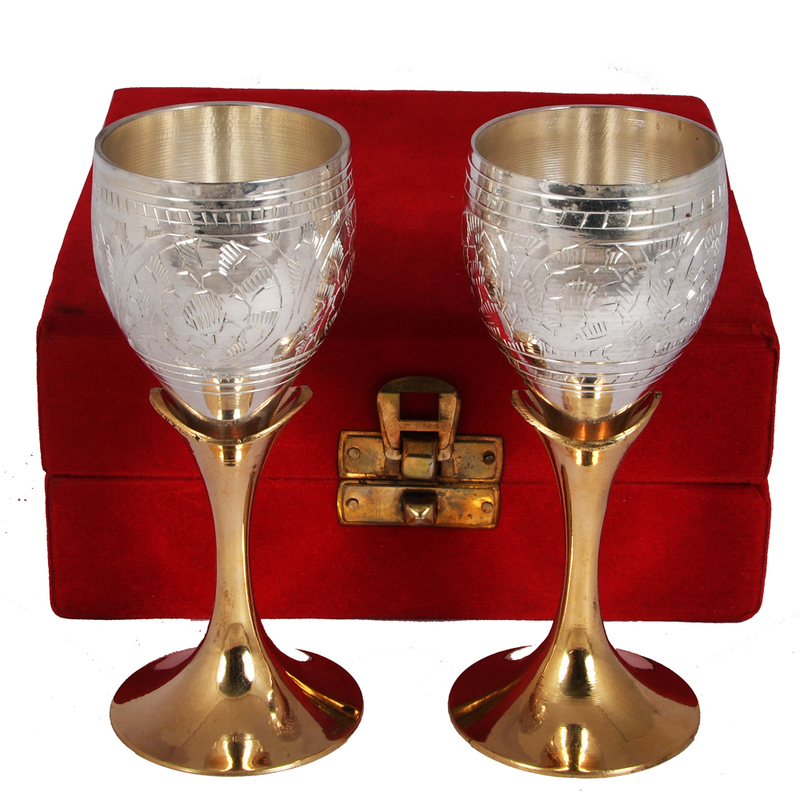 You can never ignore getting this wonderful Two-Tone German Silver Wine Glass Set Of 2, if you love to drink occasionally with your partner. Designed Read More..to perfection by the exclusive designers at the Boontoon, the Glass Set can add a touch of style and elegance in your experience of drinking together. Feel the romance all around you with this excellent wine glass in German Silver. 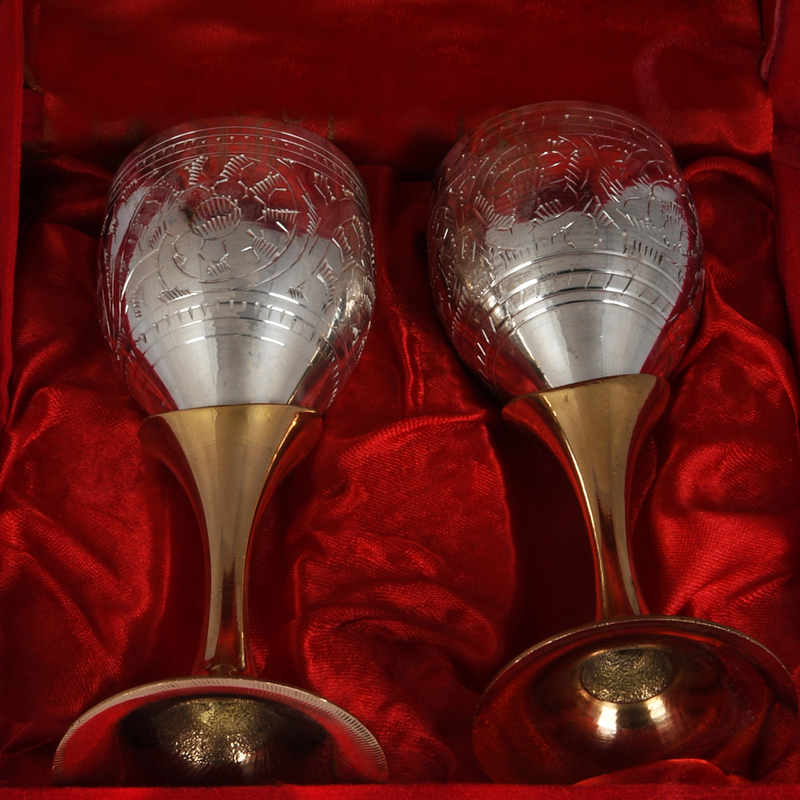 To get the best variety and design of wine glass in German Silver, you can never match the experience of drinking in any other glass you have. Visit Boontoon today and get order your glass now. Show Less..